Please note that above price is subjected to change and is for reference purpose only. Kindly contact Isuzu Nepal to get the latest showroom price. Note: Isuzu car and pickup price list was last updated on April 02, 2019. Isuzu car & pickup vehicles in Nepal are distributed by Continental Trading Enterprises Private Limited. which is a subsidiary of Continental Group. Continental Group has already served more than two decades, catering famous products such as Kia cars & vehicles, Otis elevators, Komatsu construction & mining equipment with many other companies under its belt. In the automotive sector, they are the sole distributor of Kia, Isuzu & Komatsu. Talking about Isuzu as a global company, it is a commercial vehicle and diesel engine manufacturing company headquartered in Tokyo, Japan. This Japanese brand is basically known for its commercial vehicles. Apart from that, their diesel engines are used by many of the renowned car companies such as Ford, Nissan, Mitsubishi, Renault, etc. 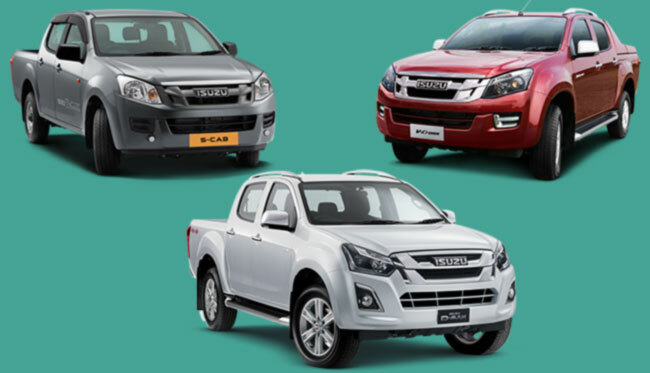 Various commercial vehicles of Isuzu were launched in Nepal citing the growing demand in pickup segment. This can be credited to increased infrastructure building and developmental work within the country. Apart from that, pick up vehicles have also gained popularity as lifestyle vehicle, particularly in rural areas. As of now, Continental Trading Enterprises is selling five models of commercial cars or pickup vehicles of Isuzu, which includes Isuzu MU-X, Isuzu D-Max, Isuzu V-Cross, Isuzu S-Cab and Isuzu Flat Deck. MU-X is the only SUV vehicle whereas all others are pickup vehicles. Good thing is Isuzu pickup trucks is available in both low end and high end price in Nepal, which is already listed above. You can contact Isuzu Nepal at information given below. Or you can message us your queries regarding Isuzu pickup price in Nepal or its specifications/features at our Facebook page.